Many people dream of visiting Croatia. When people tell us the cities they visited, Zagreb typically isn’t one of them. Most of the time, people visit Croatia from a cruise ship which means they only see the popular coastal cities and their crystal blue waters like Dubrovnik or Split. While these cities may be beautiful, they are crowded with tourists. 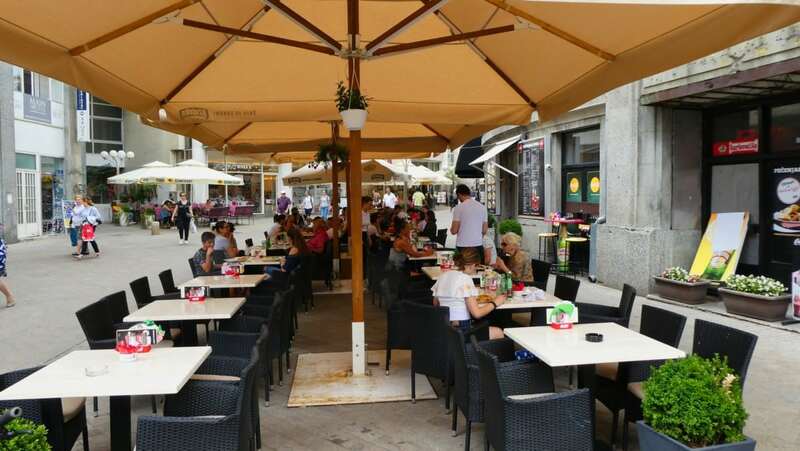 Because of the constant supply of tourists from cruise ships, restaurants and shop owners prices are higher than the typical inland Croatian city. 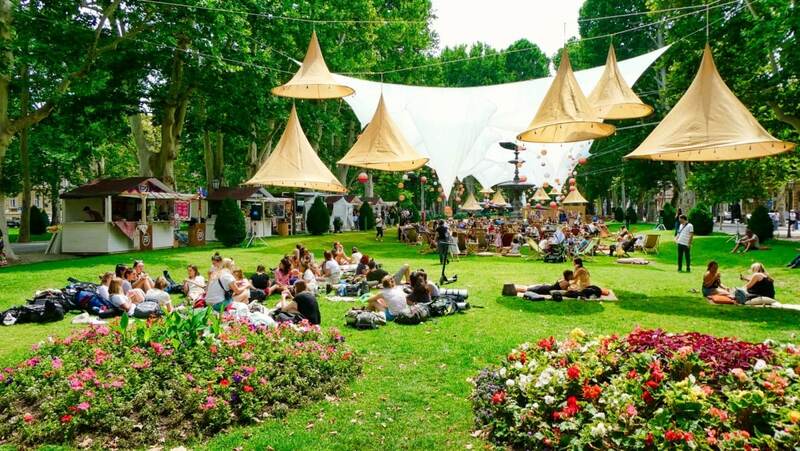 The inland and capital city of Zagreb is the new hot place to go. Zagreb is a timeless city that blends history, café culture and captivating architecture with friendliness, graciousness and the unexpected. Zagreb has a big city small town charm. It has a large old hilltop district of cobblestone streets and squares lit to this day by gas lamps that add to the charm. 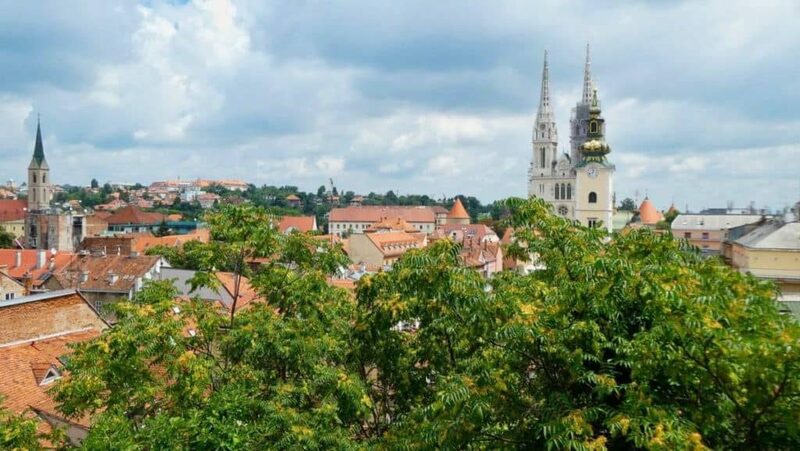 Take the time to stray from the large crowds and visit Zagreb while in Croatia. Here are our recommendations of what to see and do while there. 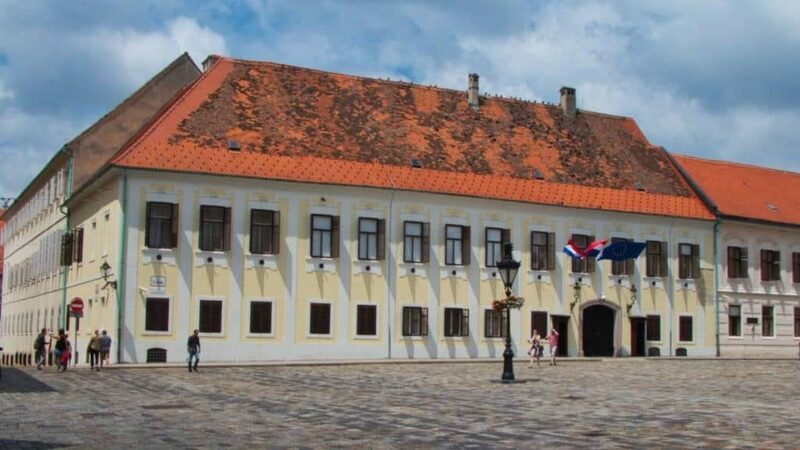 The first thing that we recommend when beginning your adventure in Zagreb is to get an overview of the city or a “lay of the land” so to speak. 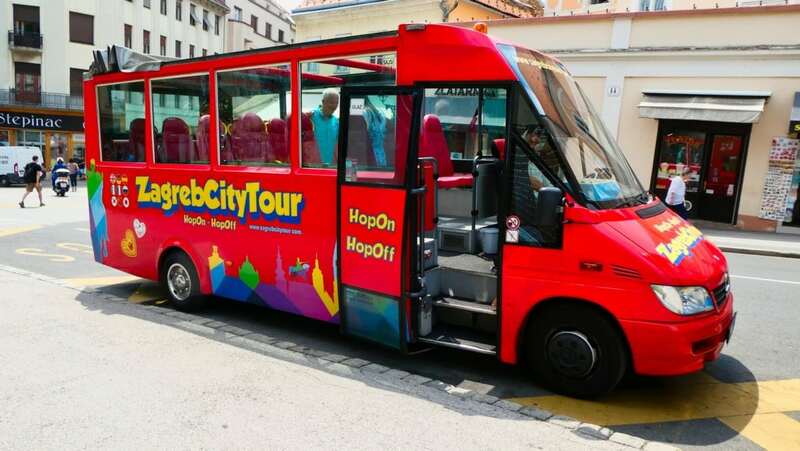 The best way to do this is with the Zagreb City Tour Hop On Hop Off panoramic bus tour. 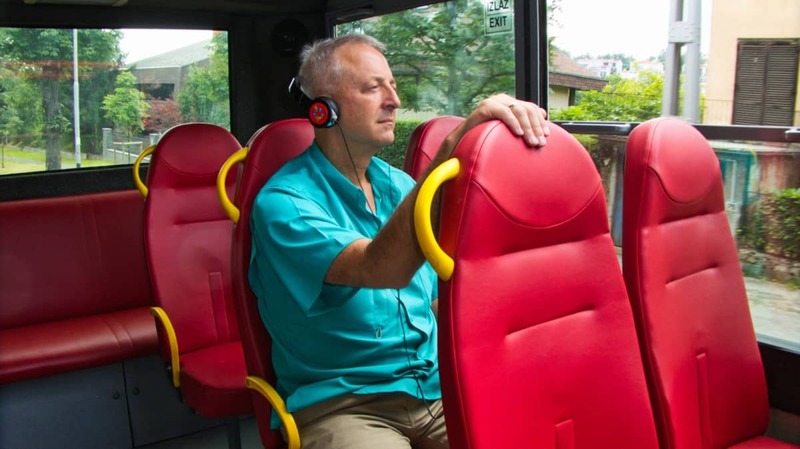 This comprehensive tour of the city with audio-guide is available in 10 languages. The nice thing about the recorded audio versus a live person is that you can clearly hear and understand the speaker. We’ve been on some tours where the guides can’t be heard easily or understood. Additionally, this tour will take you to the top sights, monuments, and landmarks in an open top bus. 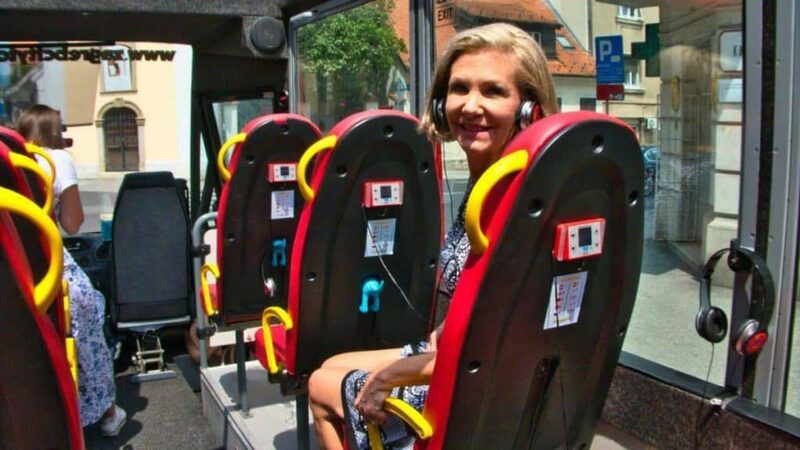 You can customize your tour, by hopping on or off at any stop to explore Zagreb at your leisure. 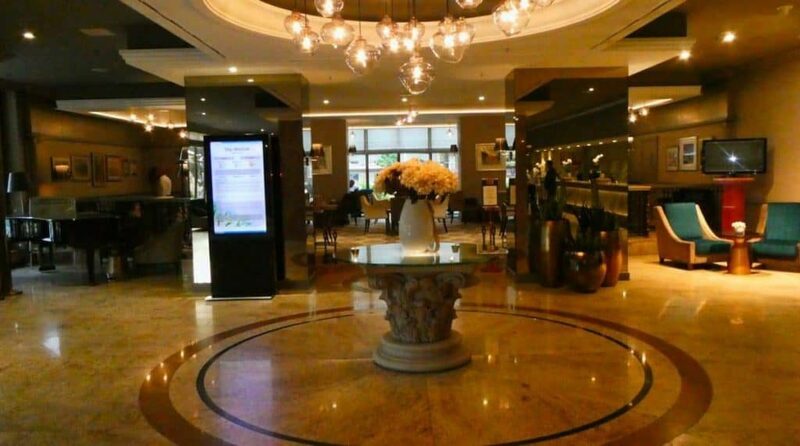 This tour will show you what’s available to discover in Croatia’s historic capital. And to best fit your schedule, the tour runs seven days a week from 10 am till 5 pm. Once you have a feel for the city of Zagreb, we recommend a private tour with Tour Croatia. We took a tour with the director and a resident of Zagreb, Daliborka Ulemek. Daliborka loves Zagreb and is knowledgeable about everything in the city. If there are particular things that you want to see or do on your tour, she will make sure you see or experience them the best way possible. What we love about private tours is the ability to customize them however you want. Since the guide is just for you, feel free to stay longer at a particular site, take a longer or shorter lunch, and most importantly, ask as many questions as you want. 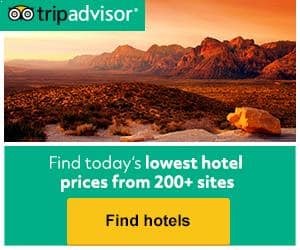 We find that the in-depth and personal knowledge you get about a country from a private tour is so much more rewarding than the typical group tour. 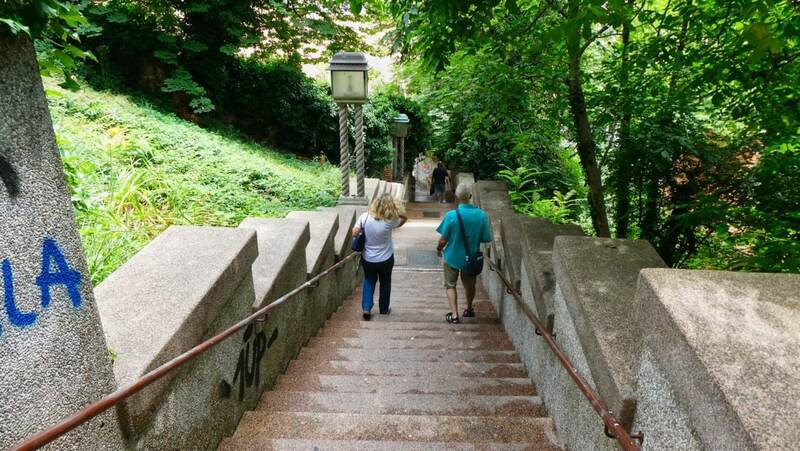 Our tour began as we left our hotel located in a leafy green area of Zagreb’s Viennese influenced Lower Town. At our request, we explored the historic center of Zagreb on foot with Daliborka. Whenever possible, we like to explore a new city this way so we can really see everything and get a feel for the vibe of the city. It was great to just look at all of the beautiful architecture. As we walked the city, we discovered that Zagreb has an unhurried pace. We saw locals enjoying coffee or drinks al fresco all day long. 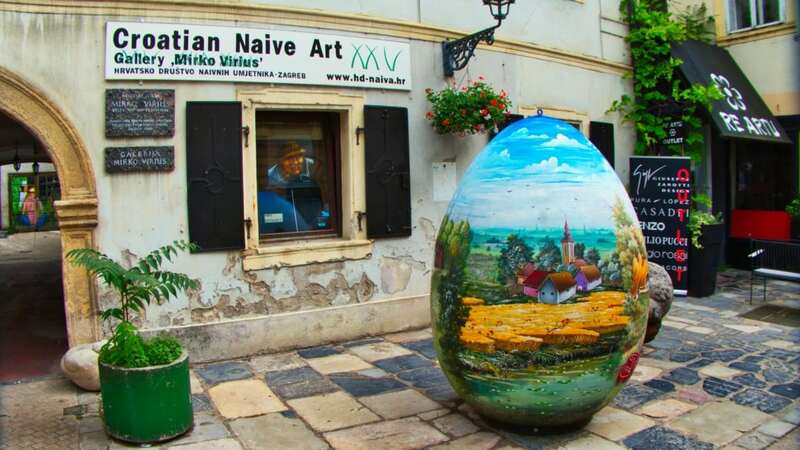 As we walked, we passed a quaint art gallery with this colorfully painted egg outside. Consequently, it had the famous Zagreb heart on the bottom that I will talk more about later. Our first stop was the Art Pavilion in Zagreb. 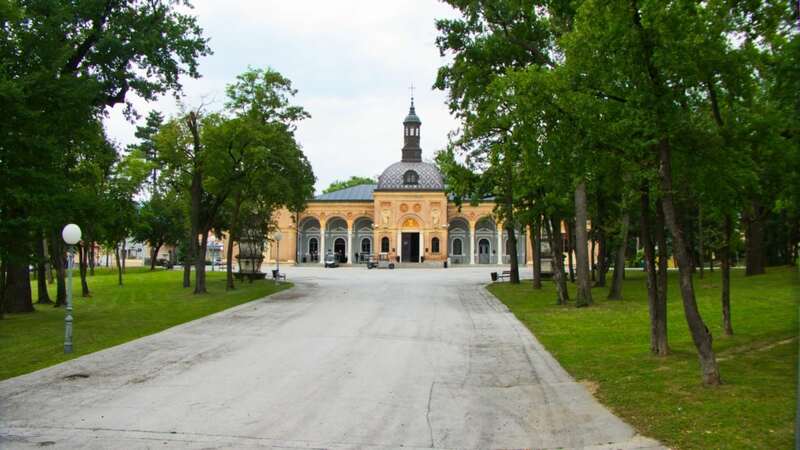 This art pavilion was built in 1896 for the Millennium Exhibition held in Budapest, celebrating the 1,000 years of Hungarian statehood. 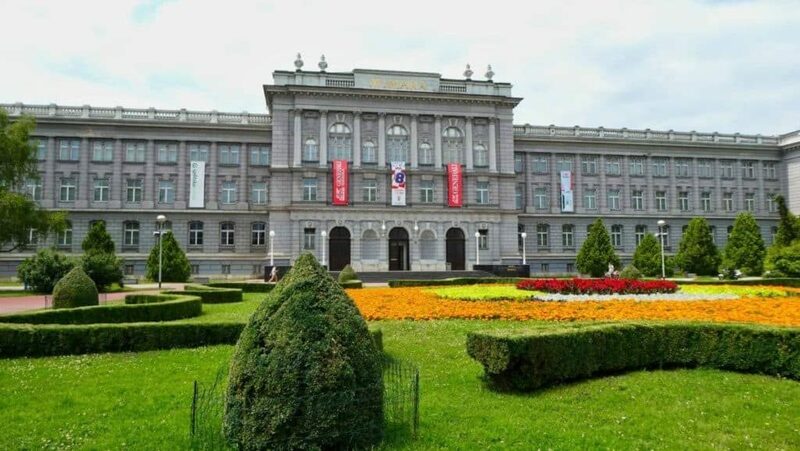 It held the art of the Croatian/Slovenian kingdom. So, after the Millennium celebration, the skeleton of the building moved to Zagreb. What we see of the building decorated today with sculptures took two years to complete. This beautiful mustard yellow building is now a hallmark symbol of Zagreb. 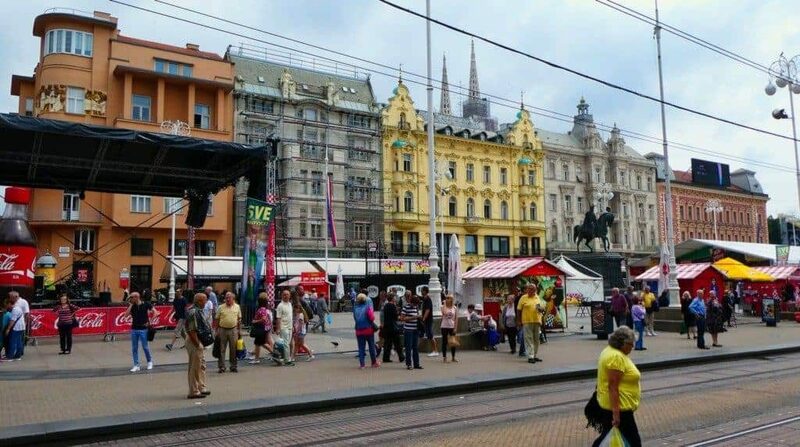 Some more walking brought us to the center of the Zagreb’s downtown pedestrian zone. Ban Jelačić Square is the heart of Zagreb. The square has existed since the 17th century. A large statue of Josip Jelačić (former governor) on a horse erected in 1866 stands in the center of the square. Josip Jelačić, an army general, is remembered for his military campaigns during the Revolutions of 1848 and his abolition of serfdom in Croatia. This grand square features buildings with antique facades of different architectural styles ranging from classicism, secession, and modernism. It was a weekday morning, and things were bustling already at 10:30 am. The locals tell us that when they meet friends in the square, they meet “under the tail” of the monument. Next, we visited Zagreb’s upper town. Here we found narrow cobblestone streets and charming historical buildings which today are home to shops and restaurants. The upper town gets its name because you are walking literally uphill. So, it’s a web of little streets that stretch between two hills. St. Mark Square is symbolic of the upper town and the city of Zagreb. In the center of the square is St. Mark church, famous for its colorful roof representing the arms of the Tripartite Kingdom. The kingdoms of the Tripartite being Croatia, Dalmatia, and Slavonia. The multi-colored tile roof is from 1880 while the rest of the church is from the 13th century. 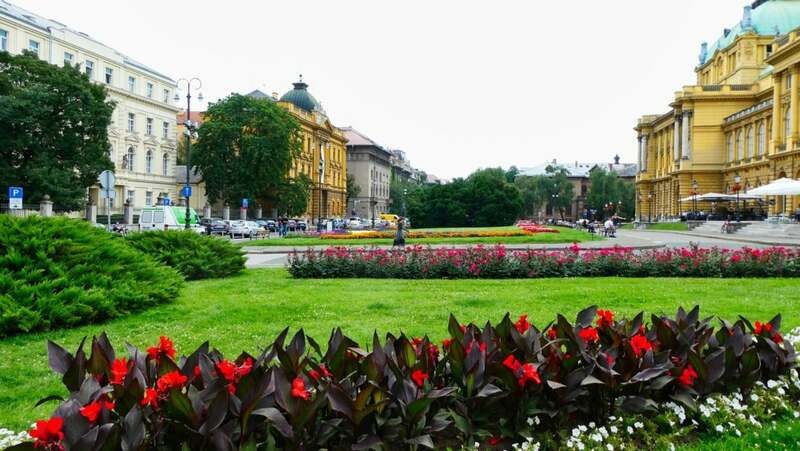 This lovely square is also home to Croatia’s parliament and the presidential place. 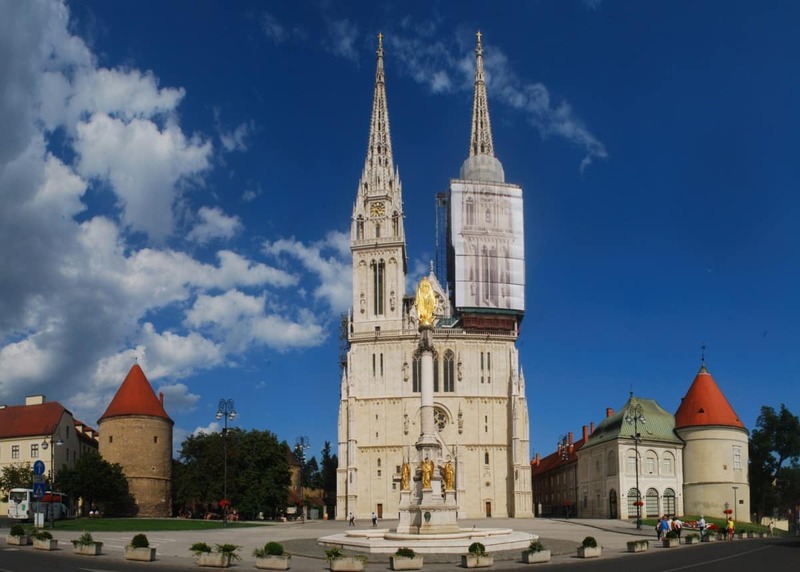 A little further and just on the edge of Upper town is Zagreb’s Cathedral of the Assumption of the Blessed Virgin Mary. 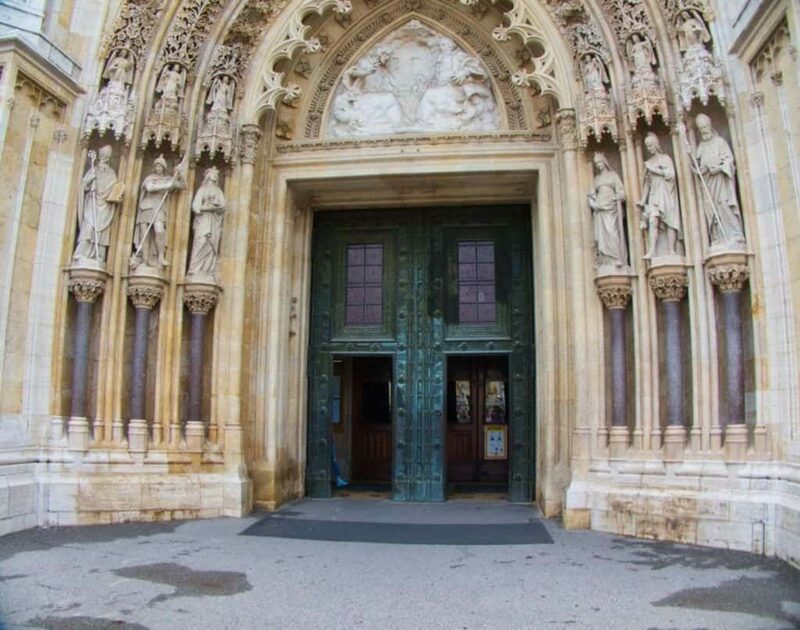 The locals call it Zagreb Cathedral and I can tell you it is a jaw-dropping, neo-gothic cathedral. Not to mention, it is Croatia’s tallest building. The cathedral’s twin spires soar over the city while inside there are lovely baroque marble altars. 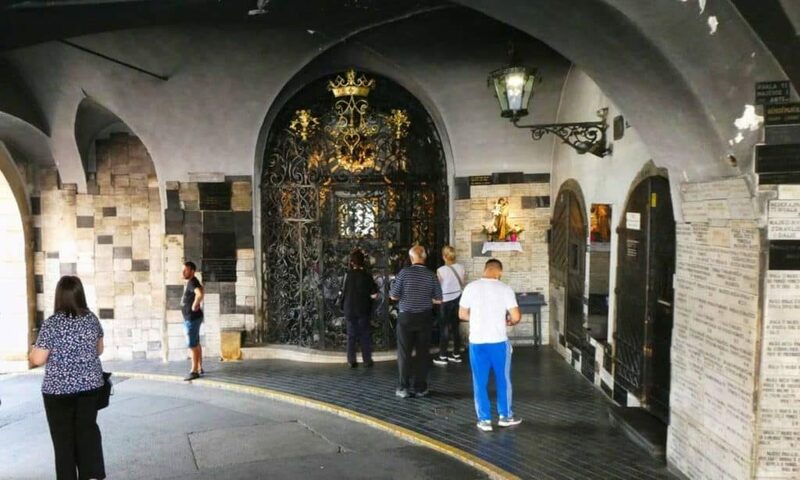 We also visited the Stone Gate which contains a shrine to the Virgin Mary, that Croatians believe possesses spiritual powers. The shrine is within the arch of the old Stone Gate. 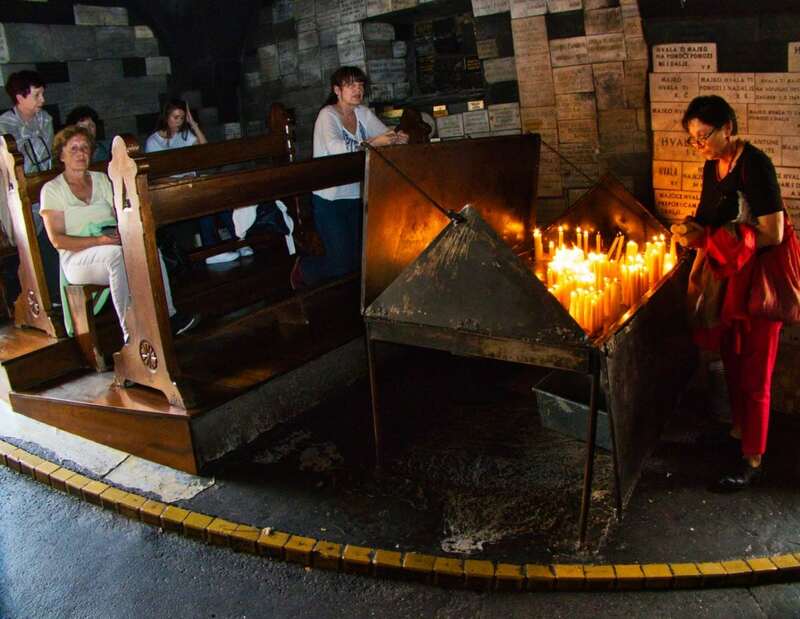 According to legend, a great fire in the mid sixteen hundreds destroyed the entire wooden gate except for a painting of the Virgin Mary with baby Jesus. People come daily to light candles, leave flowers or just pray to this picture which is hanging in the shrine. 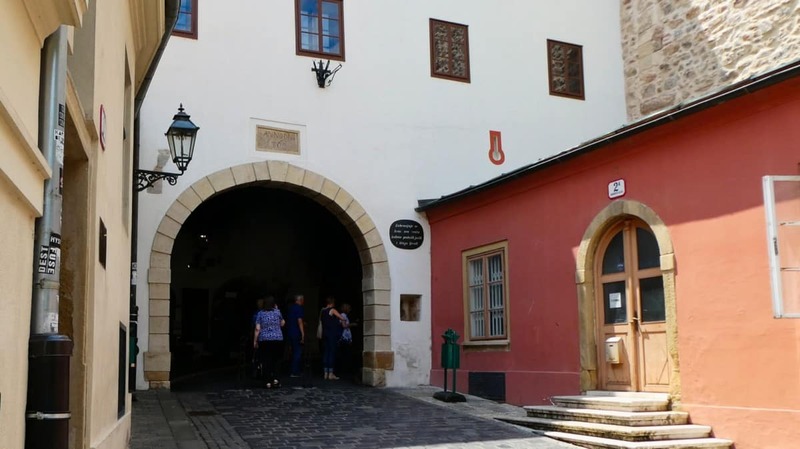 Our guide said our visit to Zagreb would not be complete without a visit to Tkalčićeva Street and she was right. 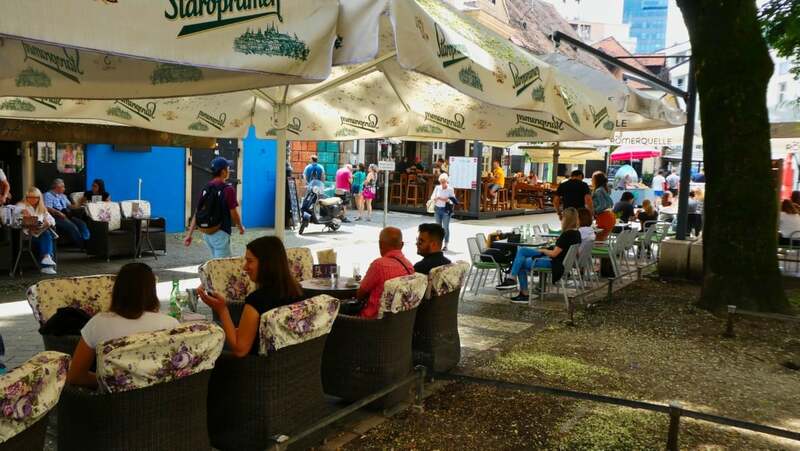 Tkalčićeva is a charming street with colorful buildings that are home to many of Zagreb’s best cafes, bars, and restaurants. Charming was not always the case for Tkalčićeva. At the turn of the 20th century, Tkalčićeva Street was the red-light district as prostitution was legal in Zagreb. Thus, the brothels contributed greatly to the economy. 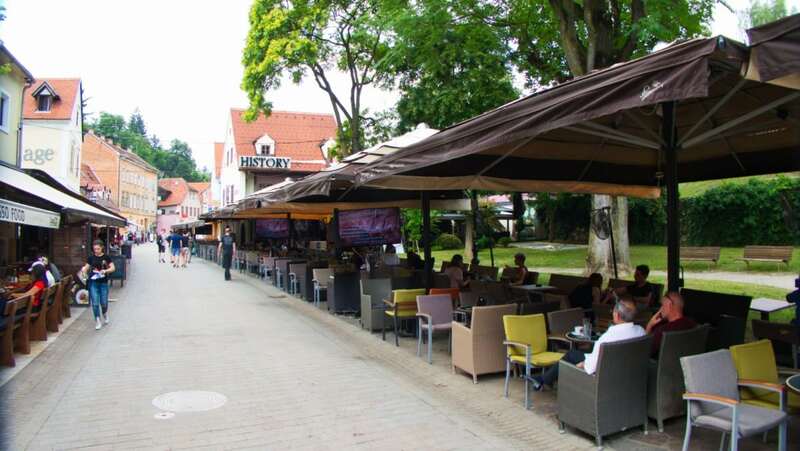 We took some time while visiting Tkalčićeva to have an afternoon drink and watch the comings and goings of people. Besides lots of restaurants, we saw many street food vendors. 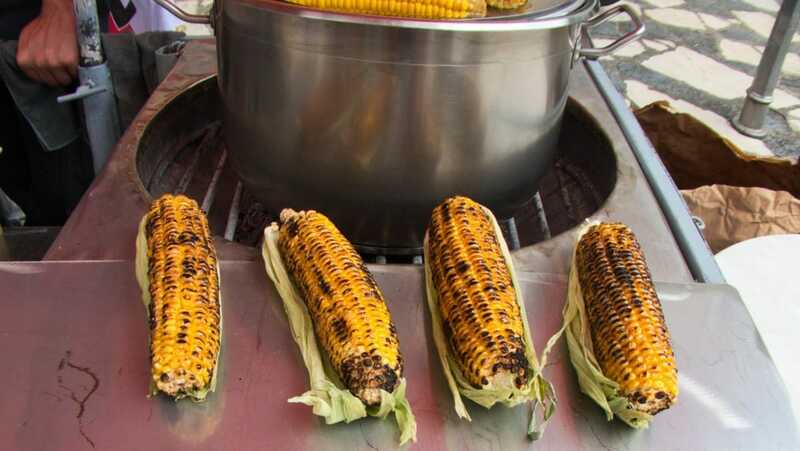 And, because we were there in the middle of summer, this was the season for roasted corn on the cob. We wanted to experience local life, and because I am vegan and love local produce markets, we visited Dolac Market, the central open-air market in Zagreb. 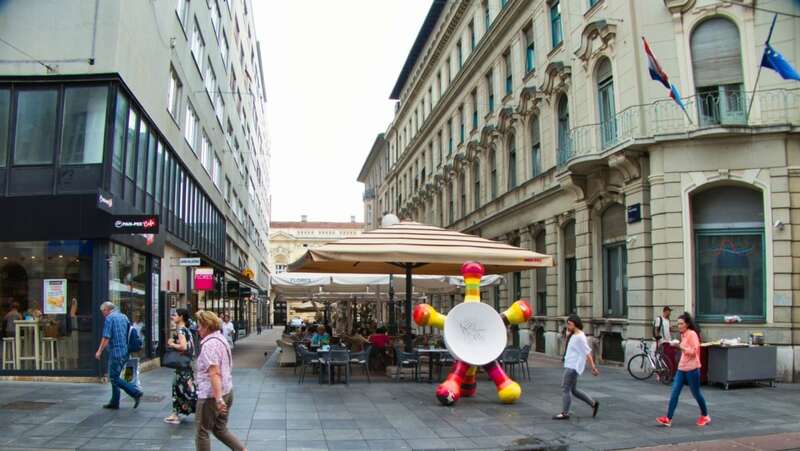 Dolac is where the resident’s of Zagreb shop because the people of Zagreb love to buy locally grown produce. 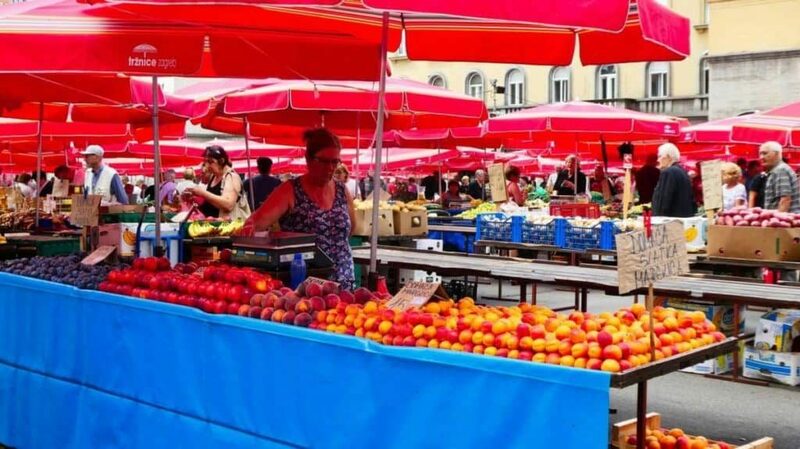 Located just behind the main square, Dolac Market is where you can feel the heart of the city. This market has been on the border of, Upper Town and Lower Town since the 1930’s. You can also purchase meats, locally produced honey, oils, and handicrafts in this market. Zagreb was rapidly growing in the early 1900’s. They had other markets but were in need of a big central market. 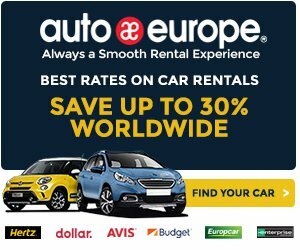 So a representative of Zagreb visited the big markets of such cities as Munich, Vienna, and Prague so that they could be on par with other big European markets. Dolac officially opened in 1930. Remember I mentioned above you must shop for Licitars. Licitars are colorfully decorated biscuits made of dough. The tradition of making and giving Licitars dates back to the sixteenth century. 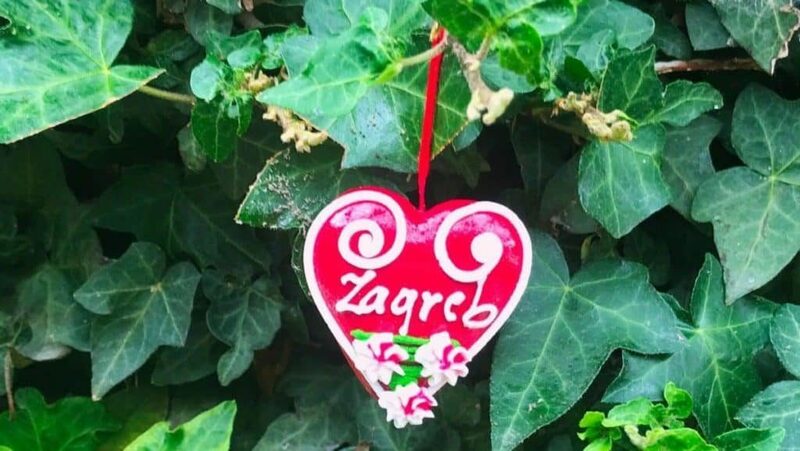 Licitars can be found all over Croatia as they are part of its heritage but the red heart Licitars are a traditional symbol of the city of Zagreb. Overall, they are used as an ornamental gift like Christmas ornaments or given at celebrations such as weddings and St. Valentine’s Day. 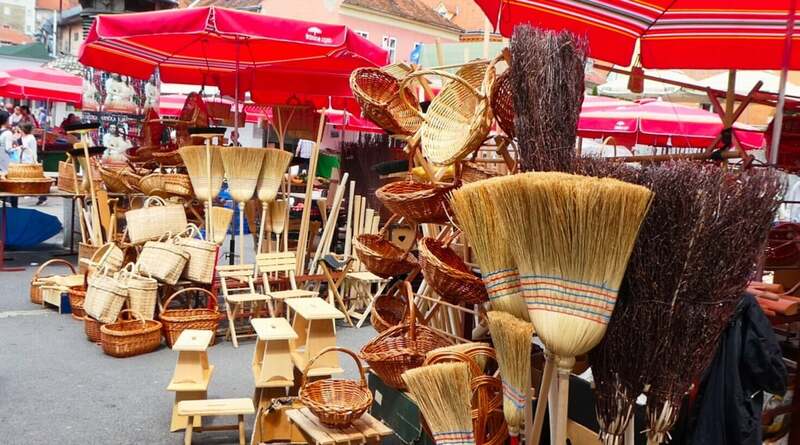 In 2010, UNESCO added this traditional craft to the “Representative List of the Intangible Cultural Heritage” for Croatian culture. 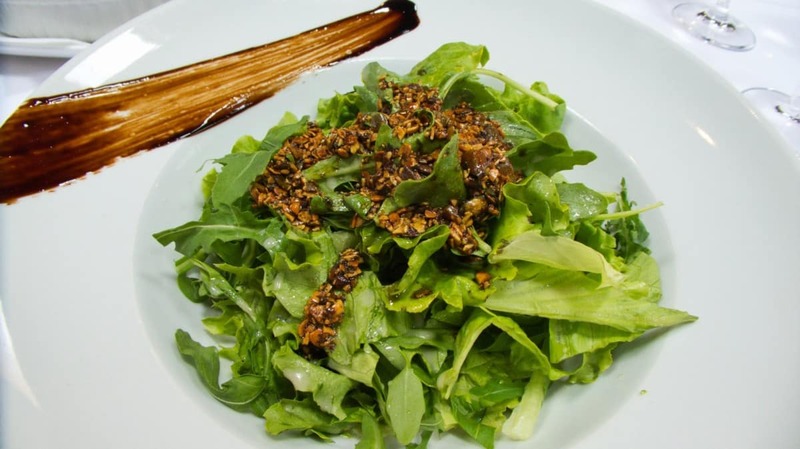 If you are a foodie, you will love Zagreb. 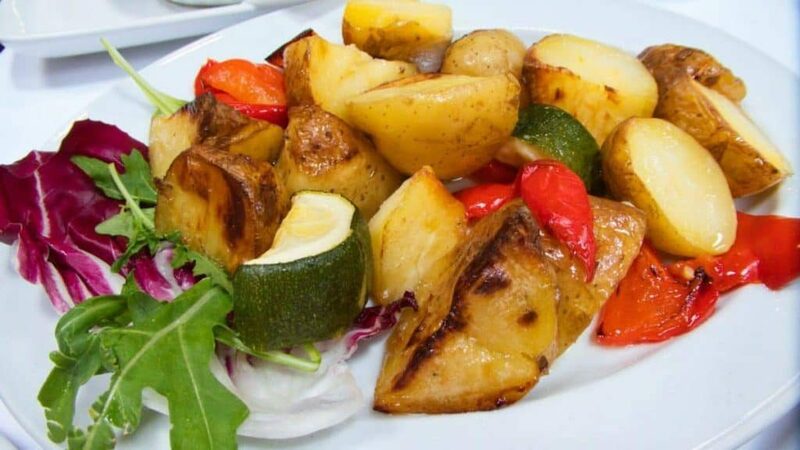 There are many restaurants and cafes to chose from and of course, street food. For something sweet stop by one of the many bakeries. 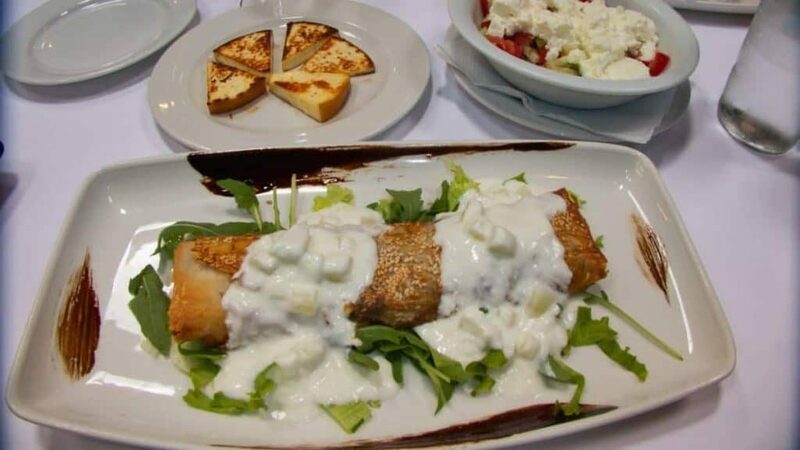 You might want to try the nut roll (or povitica as some call it in the US) as it is a specialty in Croatia. Sometimes you just have to have a little faith. 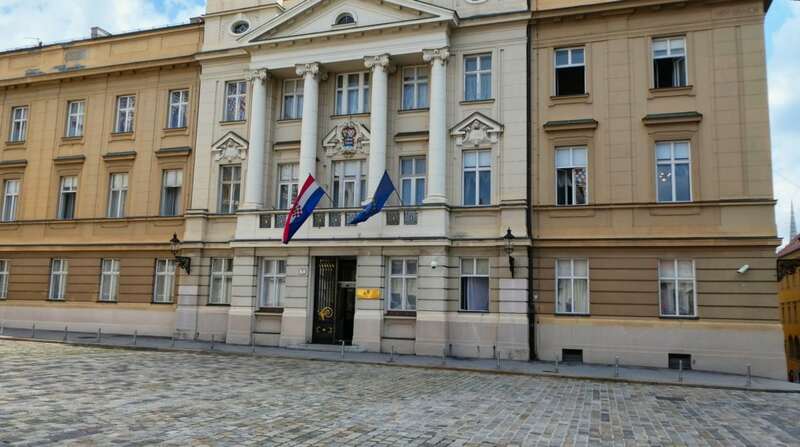 When we sent out our newsletter saying we were going to visit Zagreb next month, a few people wrote to us saying that we should go see Braco because he lives in Zagreb. We hadn’t heard of him before, so we did a little research. Braco, (pronounced Brah-tzo, the Croatian word for “little brother”) is a healer or gazer. Since 1995, countries from all over the world invite Braco to visit. The Huffington Post called him a “Guru with nothing to say,” people claim to have found inner strength and sometimes all-encompassing solutions to life problems – simply in the silence of live gazing. Understandingly, Braco’s humanitarian work has met with public recognition. He was awarded a prestigious ‘Peace Pole’ during a United Nations community event in New York in 2012. Keith and I are always open to new experiences, so we decided to visit Braco in his home for a gazing session. It was a warm day, and we walked about 40 minutes to Braco home. We entered a peaceful white room filled with chairs. There is no talking. Slowly the seats filled up with other people, mostly local residents. People come to Braco for themselves or others they love. Those who are there to bring healing of some sort or enlightenment to someone else bring a picture of them to hold. At the appointed time a person came into the room and took us to a larger marble lined room where we stood. Similarly, Braco enters the room and stands on a stool or small podium. He then silently looks or gazes at the members of the audience for a period of ten to fifteen minutes. He slowly scans the room. On the day of our visit, some in the audience held up photographs of loved ones. We had read many claims by others that they experienced life changes, healing, or a sense of wonderful peacefulness. Some said that during the “gaze time,” they felt tingling, saw energy or a golden aura, or experienced peace or relief from pain. Some said that after experiencing Braco gaze, their tumors shrank or they even found love. Braco lives modestly and does not charge a fee in Croatia and charges little when traveling. Most importantly, since 2008, he hasn’t spoken with anyone except those in his inner circle. I wish we could say otherwise, but Keith and I didn’t feel anything different after being gazed upon by Braco. One never knows. Just because we did not feel anything does not mean something did not happen. And we felt the time going and waiting there was worth the experience. 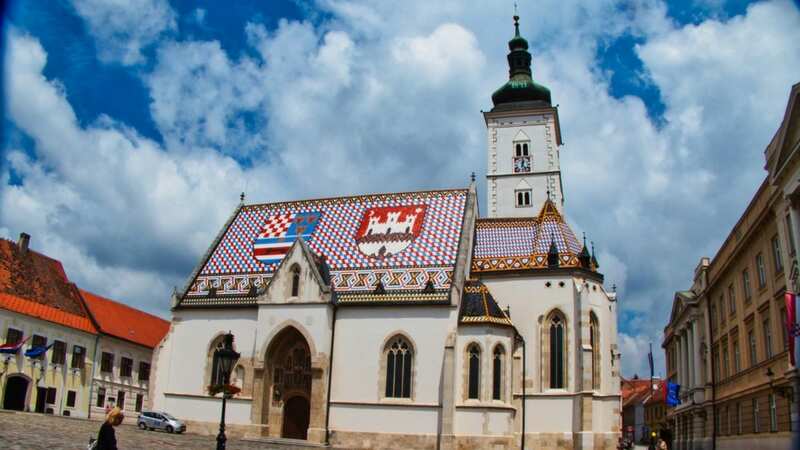 A visit to Croatia would not be complete without a visit to Zagreb. 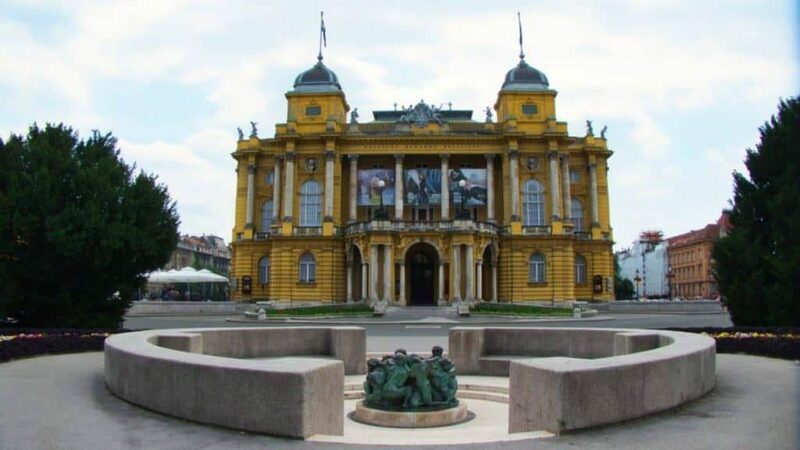 Zagreb is a city with a rich history dating back to Roman times and has a lot to offer. It is the largest city in Croatia, but with a population of only 800,000, it easily maintains it’s charm. The people are friendly, and the city has a relaxing vibe. 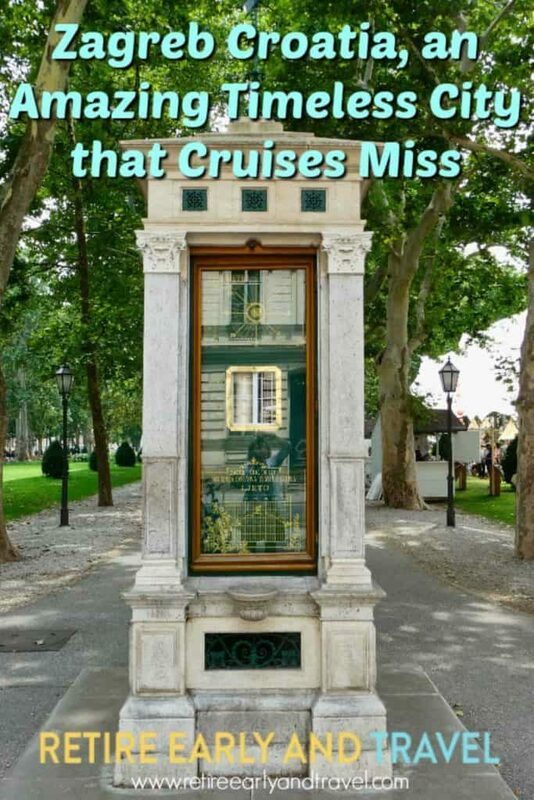 Make sure you make the time to see this not overly touristy city of Zagreb. You will love it. 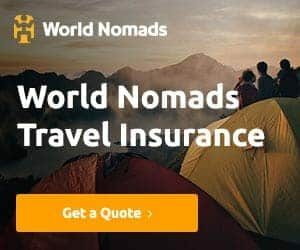 And if while you are there, you want to visit some beautiful northern coastal communities of Croatia, it’s only a 2-hour day trip drive to Rijeka or Opatija. Or for a cool Croatian Ancestry story visit here. This is very impressive and very helping blog. You explain each and every detail information about Zagreb Croatia. Outstanding Pictures, Thanks for sharing your amazing experiences with us. Please keep sharing more blogs about more. Kristina, Thank for following us! It is so nice to get kudos from the people who read our posts. We have lots more posts coming, many about Europe so stay tuned! It is an informative article. 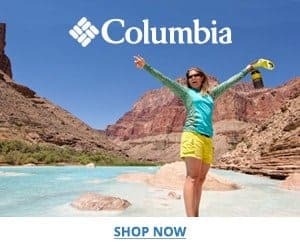 Your post is very knowledgeable and usable. 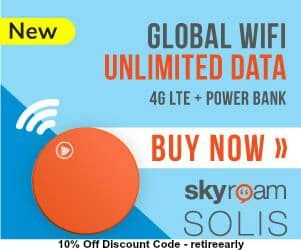 Thanks for sharing such a nice blog with us. It is Useful article. Thanks for the information and very helpful for us.